Be very careful before you proclaim yourself not a seed. The covenant of circumcision of the flesh was given to Abraham. Abraham had two sons. One, Ishmael, was the son of the flesh. And one, Isaac, was the son of the promise. It was the son of the promise – Isaac – who inherited his father’s covenant with God! After Abraham’s death, God appeared to Isaac, not to Ishmael, and renewed His covenant and all His promises. Isaac had two sons, Esau and Jacob. Of them, God says, Esau I hated, but Jacob I loved (Rom 9:13). WHY? Esau scorned the birthright, but Jacob loved it. What is that birthright? It is the inheritance of his fathers! The most precious part of it is his fathers’ (Isaac and Abraham’s) covenant with God! It was Jacob who inherited his father’s covenant with God. After Isaac’s death, God appeared to Jacob, not to Esau, and renewed His covenant and His promises. Please reread the book of Genesis very carefully to assure yourself of these truths! The history told in Torah is true history, which also teaches spiritual truths and prophesies of spiritual realities. By this history, God is revealing that it is not merely the seed of the flesh who inherits the promise of God or the covenant of God, but the seed of the promise of the Spirit. By this history, God is revealing that the one who rejects Him and who esteems Him lightly, He rejects, but the one who loves Him and desires Him, He loves and establishes His covenant with him. Why, in each case, did the inheritance of God go to the second- born son (Isaac, and Jacob)? God commands in His Torah that it is the firstborn who is to receive the inheritance of the firstborn (Deu 21:15-17). Is God countermanding His own Torah? NO. And this is the crux. We are not to consider ourselves Gentiles any longer, because we are no longer foreigners and strangers to the covenant of promise which God made with Abraham, Isaac, and Jacob. But we have also inherited that promise, that covenant, and that relationship, through the blood of Jesus Christ, along with those who are His among the descendants of Abraham in the flesh. We have been brought into the household of God and are also now His children (Joh 1:10-13). The church does not replace the nation of Israel (do not make the mistake of some — God has not cast away His people, Rom 11:1-2)! Rather, the Gentiles have been grafted in among the nation of Israel by the blood of Christ Jesus (Rom 11:16-18), so that there is one faith and one people of God (Eph 4:4-6). 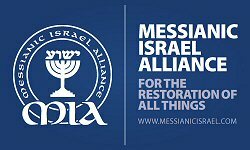 In these last days, Israel, who has always kept Torah (the written Word) is recognizing Messiah (the living expression of the written Word, Joh 1:1,14), even though He has been veiled to them according to prophecy until the proper time (Rom 11:25). And in these last days, Christians, who have always kept faith in Messiah (the living expression of the written Word) are recognizing Torah (the written Word), even though it has been veiled to them according to prophecy until the proper time. Well, it all seems so silly now. How could anyone be a Christian and not be “Jewish?” How in the world did Christianity become so much of something it is not? For years now I have always wished I was Jewish–one of God’s chosen people. Silly me–I wished that because I love God, and I love Jesus–of course I longed to celebrate the things God celebrates, and obey the things God commands. But I have been raised in a Christian world that boldly tells me that OT feasts and commandments are not Christianity. But I knew better. Anyone who really knows Him, will eventually know better! If you are following Him, hearing Him, and obeying Him (not men), then this is how He will lead. I know it for sure! How would anyone say they are a follower of Christ, but not follow what He followed? Can you say, “I follow Christ, who is Jewish, and did Jewish things, and obeyed these things, but I am not a Jew, and will not do “Jewish things” or obey the same things Jesus did.” That makes absolutely no sense whatsoever! I have prayed continually for more than ten years now that I would know God more and more, and that He would reveal Himself to me–praying that in order to love Him with all my soul and obey Him fully, I needed to KNOW Him more. But, how could I know Him if I discarded the whole essence and picture of Who He Is–through His days, His examples He gave to us, His beautiful laws, and His commandments? He reveals Himself in those very things–yet Christianity has literally discarded it all. Has no one ever asked themselves how David knew so much of Who God was? It was because He studied God’s law! Who, then, are “Christians” worshiping and following, is what I would ask? What vanity and emptiness! And you can’t just cast away all the vanity and traditions of men in today’s mainstream Christianity and not figure out what should go in its place. As I have kept my face turned towards Him, this is how He has led me–to embrace His law, and the fullness of it. To obey, and to know Him by doing all He commands. To read the NT for what it actually says–and not what “Christians” have told me it says. Without blogs, or books, or teachers. I know Whom I have believed! I know Who He Is. It is a good question, How did Christianity come to disregard these things. The answer is tied in to biblical prophecy. God is the One who sovereignly created two witnesses in the earth, Jews, and Christians, because He obeys His own Torah. His Torah states, Let every fact be established by the testimony of two witnesses. He was establishing the fact in the earth, that He alone is God – something which every nation rejected at the Tower of Babel. He had one witness, one nation, — Israel — which proclaimed it. But to establish the fact, He needed two witnesses. He Himself created two witnesses by establishing Judaism among the Jews and Christianity among the Gentiles. Each witness was entrusted with a treasure: the Jews with the written Word, Torah, and the Christians with the Living Word, faith in Messiah Yeshua. Each witness was sovereignly blinded to the treasure of the other. We know that the spiritual blindness was sovereign, because Paul discusses it in Rom 11. That Christians are only now beginning to see what they once could not see, is also because of a sovereign act of God in fulfilling prophecy. Christians are not to be despised for not seeing what God Himself has blinded them to. The timing of His revelation is also in His hands. I have so much to learn! But thank you for the answer!